“No. 1 is always really difficult, especially in Super-G. I think it was a pretty big disadvantage to be honest. You know I attacked. I gave it everything I had. I Have no regrets. I made a mistake at the bottom, but that’s Super-G."
These were Lindsey Vonn's words after missing out on a medal in Super-G. She is ranked 10th in the World Cup standings, but whenever Lindsey Vonn races, people sense anything is possible, particularly since she entered the 2018 Winter Olympics on such a hot streak. That's why the expectations were so high for her on Saturday in the Super-G. Even so, Vonn had the unenviable job of going first among the field, turned in a solid time of 1:21.49, with a mistake near the end slowing her down, and finished seventh. Ester Ledecka of the Czech Republic won the gold in 1:21.11. Anna Veith of Austria took the silver Tina Weirather of Liechtenstein the bronze. The start of the race was delayed an hour by high winds at the top of the gondola. This was Vonn’s first Olympic race since Vancouver, where she won gold in the downhill and bronze in the Super-G. She missed the Sochi Games after aggravating a serious knee injury. A year before the 2014 Olympics, Vonn had blown out her right knee. She was back in August 2013, only to suffer a partial tear in her ACL that November. She returned to the World Cup circuit in December, but the knee swelled up, and she announced in early January that she would have to miss Sochi. “I watched clips here and there. 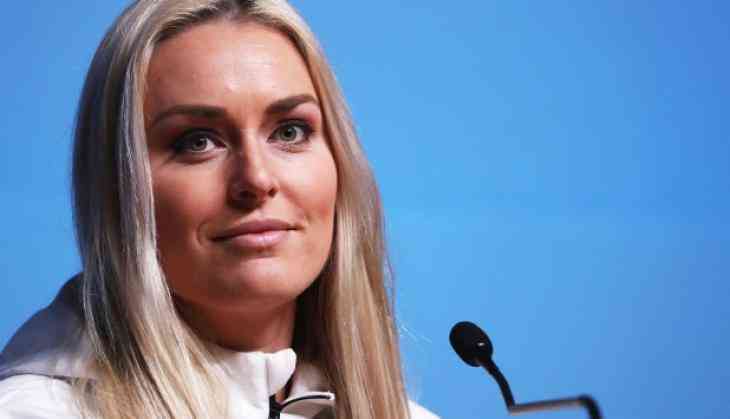 But I wasn’t actually able to sit down and watch a whole race all the way through,” Vonn told USA TODAY Sports in November. “It was just so frustrating. I’d worked so hard the year before, the whole season trying to get back. Then blowing my knee out right at the beginning of the season that year was frustrating. Vonn has taken additional motivation from the death of her beloved grandfather, Don Kildow, in November. Kildow helped found a ski club where he lived in southern Wisconsin, and passed his love for the sport on to his children and grandchildren. Vonn has dedicated these Olympics to him, and mentioned him in an Instagram post Friday night. Though Super-G is not Vonn’s best event – that’s the downhill, which she’ll race Wednesday – she came into Pyeongchang on one of the hottest streaks of her career, winning three of her last six World Cup events and finishing second in one other. She also won the Super-G portion of a World Cup combined race two weeks ago. Of Vonn’s 81 World Cup victories, 28 are in Super-G, including one earlier this season in Val d’Isere, France. She also has won five season titles in Super-G.